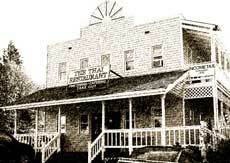 Known to locals simply as "The Thai Restaurant", Thai Duvall has been a favorite destination in the northern Snoqualmie Valley for over 20 years. Just twenty minutes from central Redmond and Woodinville in scenic Snoqualmie Valley, Thai Duvall features authentic Thai cuisine in a relaxed family atmosphere. Whether you're new to Thai cooking and looking for an easy introduction, or familiar enough to be looking for the perfect Pad Thai, our menu offers something for everyone. We have recently updated our menu, adding some new dishes, so please have a look at our menu.